Russian contract soldier Vadim Kostenko committed suicide while serving in Syria, the Russian Chief Military Prosecutor's Office told on Oct. 28. A prosecutorial inquiry has been opened into the soldier's death in Syria, it said. "The initial results of the inquiry show that Vadim Kostenko hanged himself while off duty because of the serviceman's unfavorable personal circumstances outside the garrison," the Chief Military Prosecutor's Office said. "The cause of death has also been confirmed by a forensic medical examination of Kostenko's body," it said. "The inquiry procedures are continuing to make sure that all the circumstances of the serviceman's death are analyzed and a legal decision is made," it said. Russian Defense Ministry spokesman Maj. Gen. Igor Konashenkov has also officially confirmed that suicide was the cause of death of a Russian contract serviceman in Syria. 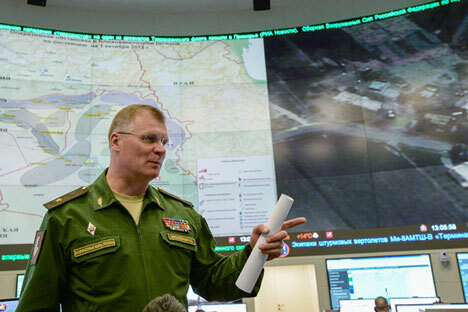 "We officially confirmed the information on a contract serviceman's death due to suicide at the Hmeimim airbase immediately after the completion of an inquiry procedure, which is mandatory following incidents of this kind," Konashenkov told on Oct. 28. "A preliminary inquiry determined the circumstances of his death, which allow for unambiguously seeing a rift in a personal relationship with a girlfriend as the reason for the suicide," he said. "All other so-called theories behind the Russian contract serviceman's tragic death published in a number of Russian and especially foreign media outlets are purposeful insinuations that absolutely do not reflect the reality," he said. "It is immensely regrettable that such tragedies are not exceptional in other armies elsewhere in the world, as they are related not to the performance of service duties but to the age and personality specifics of particular young people," he said. "The Chief Military Prosecutor's Office has launched a thorough inquiry into all the circumstances of the serviceman's death," he said.